Have you ever reached the end of yourself? REALLY reached the end of yourself? When despair sets in and a darkness envelops you that feels so strong it literally attempts to strangle any life and hope out of you? My world came crashing down in the week running up to and over Christmas this year and I fell apart in a way I never would have thought I could or would. You see – I am strong! I don’t give in easily! I have a very real and deep faith in God! I have a healthy thought life! I don’t do being ‘weak’ so well! I had held on all year. Through an immensely difficult year for our family, following a serious and unusual spinal injury (a CSF Leak) that left me with major neurological problems. I had finally received more treatment (a second epidural blood patch) for debilitating Low Pressure Headaches caused by a suspected CSF leak, and I had to muster up all the strength I had left to be positive, overcome fear and give recovery its best go. As I wrote about in When All that Remains is Faith, Hope & Love. I had to be strong enough. Somehow I would be strong enough. I wasn’t going to give anything else away to this horrible condition. I wouldn’t let it take more of my life. The problem is that sometimes life takes us to places that are quite simply beyond us. Things don’t work out how we thought they would. We give it everything we’ve got. And then we find we have nothing left to give. We humbly discover that we too are one of ‘those’ people we perhaps used to look down upon. ‘Those people’ who can’t cope. ‘Those weak people‘ that can’t keep going when life gets tough. And it blasts everything we once thought about ourselves out the window. The one battling a chronic illness. The one who ‘broke down’ mentally. The one who felt like escaping life was perhaps better than living it like this. And a new journey starts. After weeks of waiting and battling for treatment – a second epidural blood patch – everything was poised in my mind. I HAD TO BE WELL AGAIN! Being a positive, faith-filled person I filled my mind with that hope. Surely after all the discussions, waiting, battles and disappointments – it would work – IT HAD TO!! Our family couldn’t go through the trauma and chaos of any more upheaval because of this horrible and unusual injury. I finally had my blood patch and all appeared to go well – although it certainly wasn’t an instant ‘fix it all.’ So I did what I always try to do – focus on the positive, believe, step out in faith and trust that as I regained my physical strength and conditioning that I would find complete health. I did all that I could to push through various lingering, unpleasant symptoms. Stay positive and keep going. The problem was my body and mind was exhausted and as I pushed it more and more, it began to shut down. I survived for a time on shear willpower and adrenaline but 3 weeks after my blood patch I developed acute insomnia. I would go to bed exhausted, sleep for 30 – 60 mins, then be awake all night …..every night…. for two weeks. No ones body can survive like that whilst also battling a major neurological condition. But I tried to keep on going, I thought ‘if I just keep going then I will get tired enough to sleep’. Then my conditioning will get back to normal. I just wanted to be well for Christmas to leave this difficult year behind in 2015. Things spiraled out of control physically and mentally – my symptoms seemed all over the place – before crashing in every way. Usually a fun-filled family time of sharing gifts and eating together. Christmas 2015 is a blur to me. I cried my way through it, in all honesty, exhausted, depleted in every way and not even wanting to live anymore – if living meant this. I felt so very unwell and the relief that lying flat used to provide was not alway’s there. Which is why I couldn’t sleep. It was torture. My body and mind were utterly exhausted. I didn’t know what was going on. I assumed that the blood patch had eventually failed and because of all the battles to get it I was not sure I could access another one. I could no longer think straight. I could no longer see a way forward. I naively and ridiculously found myself ‘wishing’ that what I had was terminal – because at least there would be an end in sight, if it was. At least there would be an escape from the inner and outer pain that I felt. I felt stuck between an inner pain, grief, physical pain and such exhaustion that death seemed the only way out. Yet I knew to choose death would devastate those I would leave behind. Which added to my pain. Darkness enveloped me and pain became my reality. Hope felt out of reach. Faith attempted to hold on with its finger nails but was losing it’s battle. I was not so strong after all. I couldn’t do it anymore. My heart was sick and I felt lost in a pit of despair that no one could lift me out of. Even my wonderful husband was struggling to reach me. There comes a time when – however strong we are – we come face to face with the depth of our weakness. I had never imagined I could be ‘that person’. That I could reach a place where thoughts of depression, despair and even suicide not only became real but became an obsession. I just wanted it all to stop!! I couldn’t do this anymore!! I couldn’t take the chaos!! I couldn’t take feeling so ill!! I couldn’t face the battles of trying to convince doctors to help!! (I actually thought me falling apart mentally would make my chances of getting help for my underlying physical condition even more problematic. I was scared that they would assume it was all ‘in my head.’). And yet I first had to face the reality of where I was. I had been battling an injury that directly affected my brain – for a year. I had spent almost 6 months of that year in bed, lying flat almost 24/7 and the rest of the year at nothing like full capacity. But, I still felt like I had failed. I blamed myself. One mistake with a ladder had cost our family so dearly. One accident had robbed us of our future. One moment had wrecked EVERYTHING! I decided that I had then probably ruined my last chance of getting better by ‘blowing’ this blood patch by doing too much. I had no ‘fight’ left in me so hopelessness washed in like a flood. I couldn’t see past the darkness. Attempts to battle negative thoughts whilst being physically so depleted and unwell seemed fruitless. I JUST WANTED TO ESCAPE. I convinced myself that my family would be better off without the burden of such a debilitated, chronically-ill wife and mother. The pain of thoughts of dying came face to face with the pain of thoughts of living. BUT……. 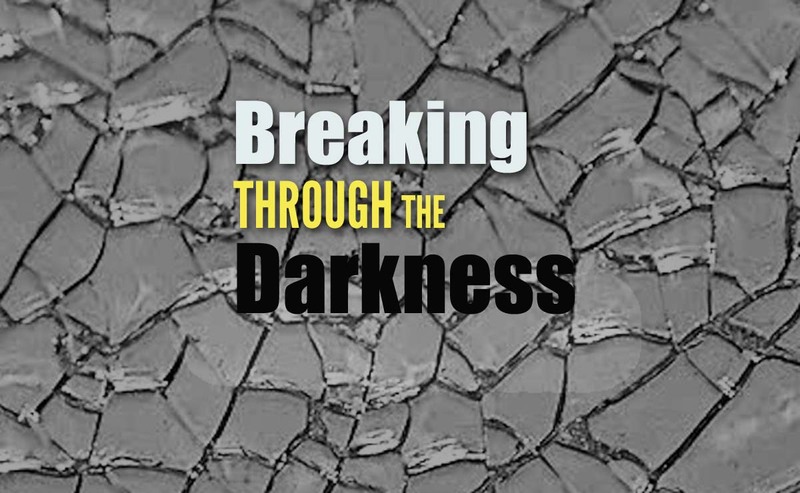 IN THE MIDST OF THE DARKNESS LOVE BROKE THROUGH! Love reached out to me and helped me to hold on. Grace was still there waiting to be rediscovered. I had to open my eyes again to see that the light of love was still burning in the darkness. Family and friends simply loved and supported me. They helped me to rediscover a better perspective. My 8 year old daughter used to come and sit on my bed and with all the passion she could muster she would tell me how much she loved me and that she wouldn’t want any other Mummy but me – even when I am so unwell. I have wrestled with myself. Wrestled with various neurological symptoms. Wrestled with how to move forward. It has been a very confusing time symptoms-wise. After the new year things began to improve. Some things were still like low pressure headaches. Some felt different. It was hard to know what was going on in my body, brain and mind. Doctors were not always sure either. I had to discover the strength each day to put one foot in front of the other to just get through intact. To pull through the pieces of a broken life and somehow find hope again. Darkness had enveloped me at a time when I felt like I couldn’t find God any more. Hope returned as I discovered He was there with me all the time. I just couldn’t ‘perceive’ Him. I had to rediscover God’s love and grace. Learn to ‘let go’ of the life I had lived and choose to trust and hope that I could recover and that there was something better ahead. I had to battle the fear and anxiety that tried to persuade me that I would never be free. I had to learn to get comfortable with stillness, quietness and to embrace true peace and rest on a deeper level. 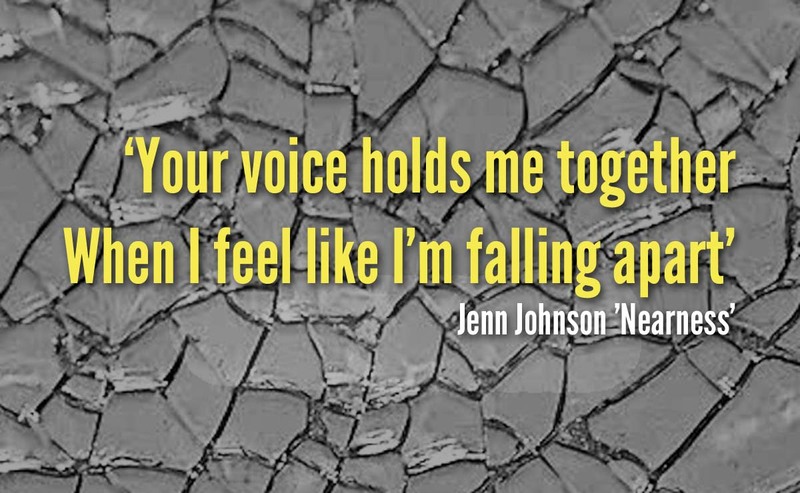 I had to learn to perceive God’s voice in a new way and hold onto the truths spoken over me. I have had to rediscover who I am in its simplest form and be OK with a more simple life for a time. A new depth of humility helped me to see that I had sometimes judged others ‘weakness’ because I didn’t understand them. I have now developed a deeper empathy and compassion for others facing challenges and struggles; especially those linked to chronic and mental illness. I have had to discover a new kind of strength that is actually born out of weakness. It’s been an immensely difficult journey and one that it has taken me a while to write about. For a long time I felt like I had lost my voice and had very little to say that could help others. I know that as we talk about our deepest weaknesses and vulnerabilities, others can connect with us and know that they are not alone. It then gives our own pain more purpose because our story can bring a ray of light in the midst of another’s darkness. It can be invaluable to know that someone else is also struggling and that your journey can help them too. We can then navigate the stormy seasons in our lives TOGETHER and some how help one another to weather the storm. And a deeper empathy for others. Please do feel free to comment below. To read more about my initial injury and journey with a CSF leak/ Low pressure headaches you can see these posts. UPDATE March 2018: It is now looking likely that after epidural blood patches I may well have experienced some rebound high pressure symptoms. This is a very confusing condition, that can be a severe complication of epidural blood patching/ CSF leak treatment. Here is my more in depth post about experiencing this after my 4th EBP in September 2017. To read more about my story of living with a chronic spinal CSF Leak click here. Here is a brilliant 2 min animation about Spinal CSF leaks. For more information about spinal CSF leaks please see the UK charity website at www.csfleak.info or the US charity website at www.spinalcsfleak.org. A fantastic informative video that you can refer to about spinal CSF Leaks, their symptoms and treatments is The Mystery Headache: Migraine, Positional Headache, Spinal Fluid Leak? by Professor Ian Carroll at Stamford University Hospital. Such a difficult and painful time Becky! You rrally are so inspirational, even more so now because of the dark places you’ve come back from! Really looking forward to seeing the blessings that will be poured over your family following this very difficult 18 months! Be healed Becky in Jesus name – we all love you so much! Thank you Jane. We appreciate you all so very much and press on to take hold of all that is waiting for us in the future. I just read your blog and I can’t tell you how much reading about your experience has helped me. I was first diagnosed with Spontaneous Intracranial Hypotension – CSF leak in Jan 2016 along with “brain sag”. I am struggling to stay positive. This past year I have had multiple blood patches and surgery a few weeks ago. It’s all so confusing! I wanted to reach out to you to thank you for saying exactly how I am feeling in your blog. Wishing you health and wellness. Thank you Valerie, It is such a hard condition to deal with and it can be very very hard to stay positive. You are right it is often so confusing. I am so glad that my blog has helped you. That’s one of the main reasons I write it – in the hope that it helps others. I really do pray that you can heal up and that your journey doesn’t linger too long – but in the mean time I pray that you will find hope when hopelessness washes over you. We are all the Same. We are all Human.